Dice Duel - Frequently Asked Questions : Play Dice Clubs! 1. Does Dice Duel have stickers? Stickers come with the Dice Duel app on every iOS device, you don’t have to install anything else. Just open the Messages app and start a conversation. At the bottom of the screen, you should see a Dice Duel icon. 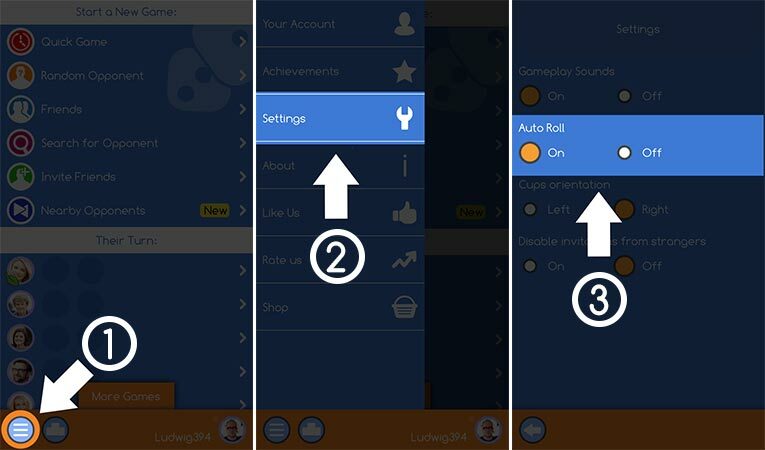 If you don’t see it, press the button with three dots and then select Dice Duel from the list. Now simply select the sticker that you want to send and tap it! 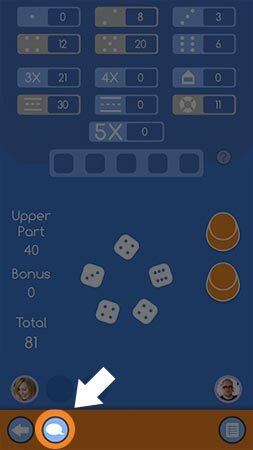 “Dice Duel” is available for iOS, Android, Windows 8 and 10. 2. 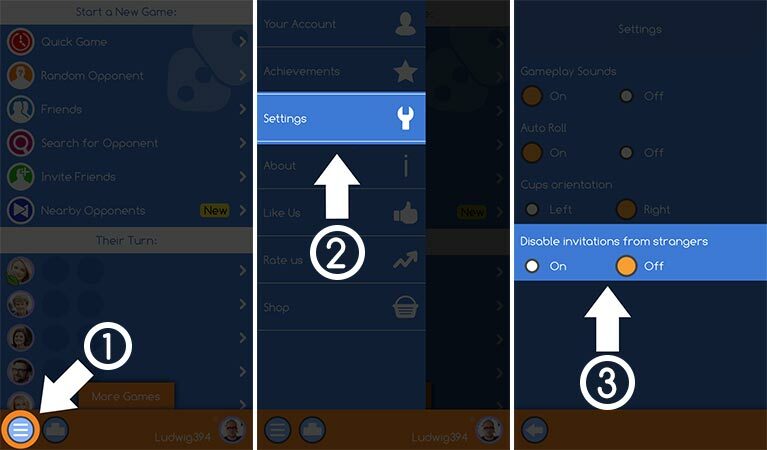 Why should I connect my Dice Duel account with Facebook+? All the progress made on the Guest account will be lost – you’ll have to start again from scratch. It’s much better to do it immediately when you start playing Dice Duel! You can set up username, e-mail address and password in the menu. Unfortunately not. It’s not possible because of the international rights. You can, however, use your social media Profile Picture as soon as you connect your account with Facebook. As soon as you connect your account, yor profile picture will be automatically changed. 9. I want to play a Dice Duel pro match with one of my friends. Is it possible? 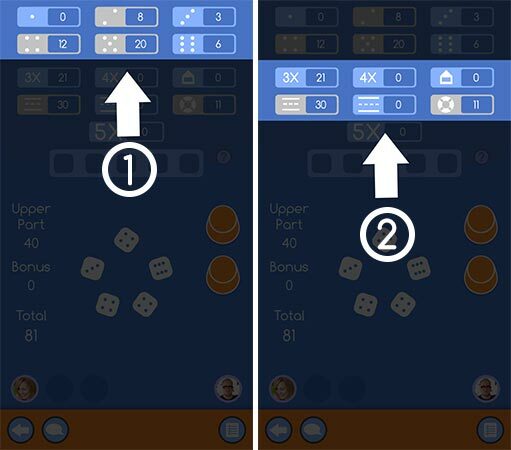 Of course you can also invite your friends to play in the Dice Duel Pro mode. This is the normal mode you already know. That means you can invite up to 3 of your friends to play a round of Dice Duel. The winner gets a maximum of 4 diamonds. 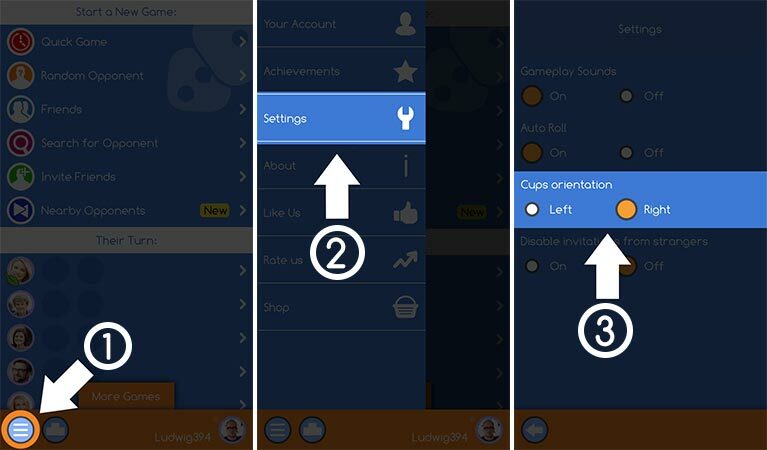 And you will find the option Dice Duel Pro. Last but not least, you’ll be reward diamonds for playing and winning games! Especially in the Dice Duel Pro mode. There you can win a lot of diamonds in just one game! And finally, there’s the Dice Duel Pro mode. Here you’ll be able to earn high amounts of diamonds (100 or even 2000 per match!) but only after you pay the Entry Fee. 3. What’s the Dice Duel Pro mode? The Dice Duel Pro mode is the most exciting one in the game. It allows you to win much more diamonds than any other game mode. 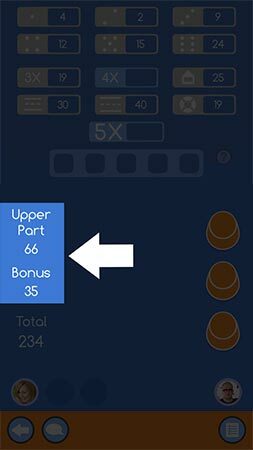 To play against random opponents from all over the world in the Dice Duel Pro mode, you have to first reach player level 5. Keep in mind that with the high reward comes also risk – the winner takes it all! Additionally, winning games in the Dice Duel Pro mode is rewarded with Medals. Show them off! 4. While playing in the Dice Duel Pro mode, my opponent stopped responding. Can I still win the game? 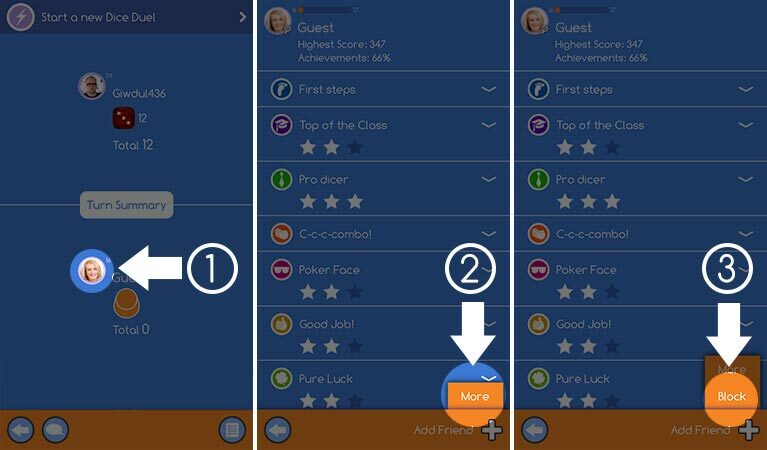 You will be rewarded with medals for winning games in the Dice Duel Pro mode. Each medal requires a certain number of victories. This applies to all five categories (11 Diamonds, 55 Diamonds, 275 Diamonds, 1100 Diamonds and 5500 Diamonds) in the Dice Duel Pro mode. 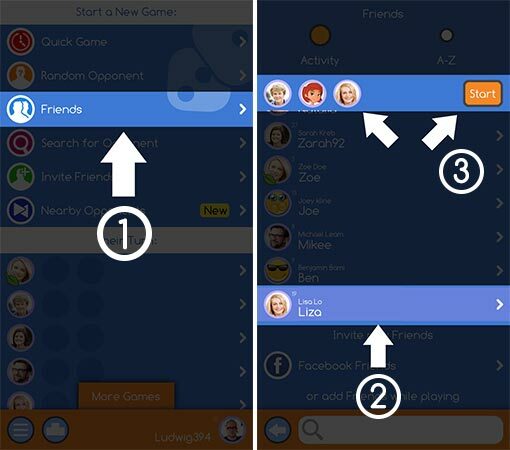 Just connect your account with Facebook and invite a new friend who never played Dice Duel before. Start a match with him or her and finish it. First and foremost: don’t react to the insults – ignore the chat. 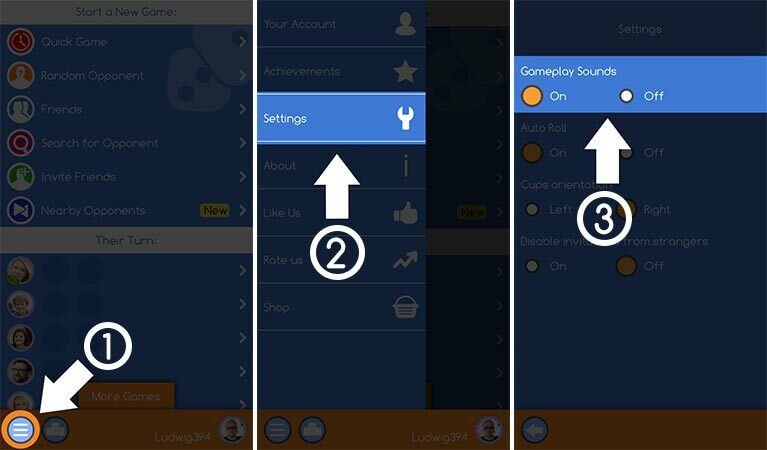 Dice Duel is about having fun and mean behavior is neither welcome nor appreciated. Additionally, you can block a certain player permanently; he or she won’t be able to play and chat with you ever again! When can I chat with other people?